Peanut Squares are a wonderful treat. An airy cake is cut into squares, then frosted on all sides with frosting and rolled in chopped peanuts to coat. This classic recipe is perfect for picnics or for special occasions. 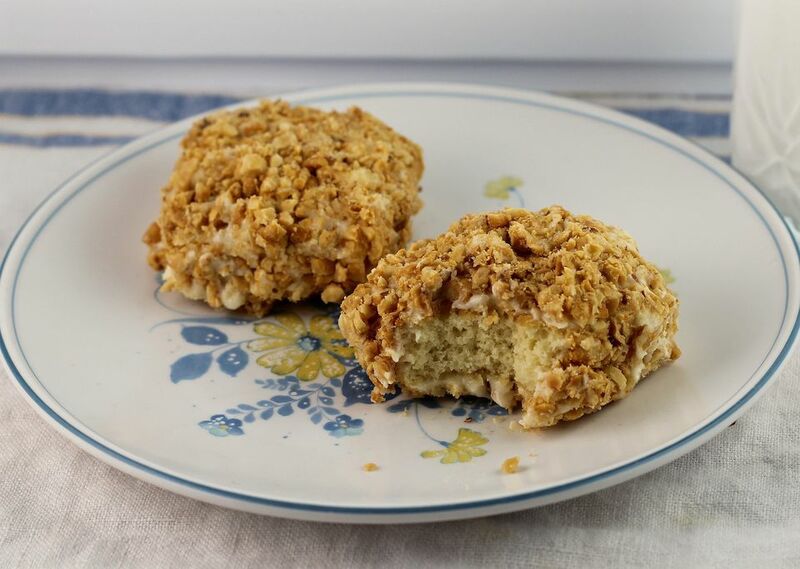 There's just something about the combination of the classic yellow cake, that is slightly firm, enveloped in fluffy frosting and rolled in chopped salted peanuts that is the perfect treat. The batter doesn't have a lot of fat, which makes it less tender than regular yellow cakes. But you need that strength of the crumb to hold up to the frosting and peanuts. You'll see how fabulous it is when you take the first bite. We also offer three variations for easier ways to make this recipe; in a sheet pan, as two round cakes, as a layer cake, or as cupcakes. But do try it the original way at least once in your life! Preheat the oven to 350 F. Spray a 9" x 13" pan with nonstick baking spray containing flour. In a large mixer bowl, beat the eggs slightly. Gradually add the sugar, beating until the mixture is fluffy. Add the milk and melted butter and beat well. Stir in the flour, baking powder, baking soda, and salt. Blend in the vanilla. Spread the batter in the prepared pan. Bake the cake at 350 F for 20 minutes or until the cake springs back when lightly touched in the center. Cut the cake into 2 1/4" squares and frost on all sides with the frosting, then roll in the chopped peanuts to coat. You can also roll the little frosted cakes into other types of chopped nuts. Try using chopped cashews or pecans. Toast the nuts first for more flavor and more crunch. Note: If this is too much work for you, you can leave the cake in the pan and just frost it with the Buttercream Frosting, or add about 1/3 cup peanut butter to the Buttercream Frosting and top the cake with that mixture. Sprinkle the top with chopped salted peanuts. You can also make the batter into 24 cupcakes. Frost the cupcake tops with a lot of frosting and mound the top, then roll that into chopped peanuts. Or for another variation, bake the cake in two 8" pans. Remove the cakes from the pans, let cool, and frost on the top and sides and coat with peanuts. You can also make this into a layer cake; frost as a regular cake, then coat the top and sides with peanuts.